ACOLYTE: Um hello? ….Is anyone still here?….The dark lord hasn’t shown up yet……just so you know…….hello? Are you sure you said the right words?…… I took a semester of Latin in college but I think you said Dear wrong. Lights change and there is a bone chilling demonic laugh that echoes throughout the chamber. The Acolyte turns center stage and looks out. Well hey there big fella! 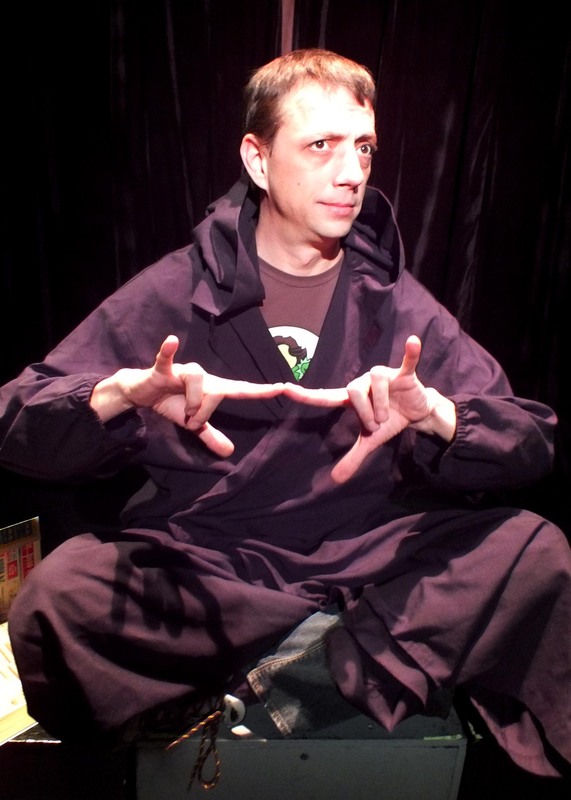 The Reluctant Satanist was performed by Sean M. Kozma in the January 2013 Eclectic Voices monologue show We’re No Heroes at The Eclectic Company Theatre. You know I love this monologue! This entry was posted on March 9, 2014 by Eclectic Voices in Monologues and tagged #eclecticvoices, #lathtr, #newplay, #newwriter, fiction, monologue, monologue show, playwright, playwriting, Sean M. Kozma, Tyler Tanner, We're No Heroes.